AFSCME is the UC’s largest employment union, representing more than 25,000 employees. The union organized the rally to honor Dr. Martin Luther King Jr.’s legacy on the 50th anniversary of his assassination. 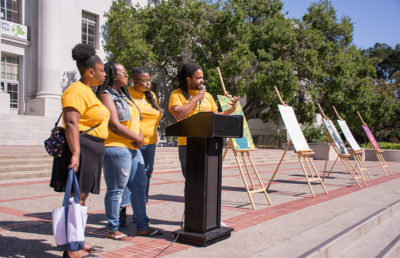 The rally also drew attention to racial, gender and income gaps at the UC, as reported in a recent study by AFSCME Local 3299. 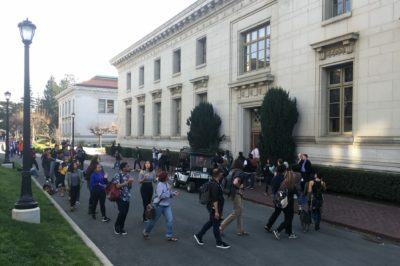 UC spokesperson Claire Doan said in an email that the UC cannot confirm the accuracy of the conclusions made in the report because it does not know how AFSCME arrived at this information. Speeches were also delivered by community leaders, including Richmond Vice Mayor Melvin Willis, before beginning a march down Bancroft Way. The group ended the rally with a sit-in on the intersection of Telegraph and Bancroft, where they began. Others, including Berkeley Mayor Jesse Arreguín, delivered speeches and rally cries at this time. Workers represented by AFSCME have been in contract talks with UC for almost one year, according to a press release from AFSCME released Tuesday. The press release alleged that the UC has proposed cuts to frontline staff compensation and continued outsourcing of jobs to low-wage contractors. 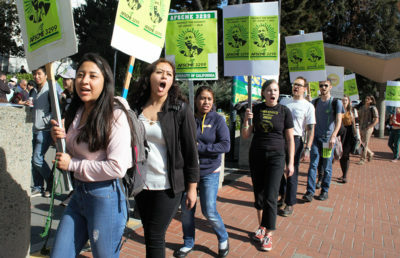 AFSCME spokesperson Todd Stenhouse said the UC has also proposed stagnant wages. 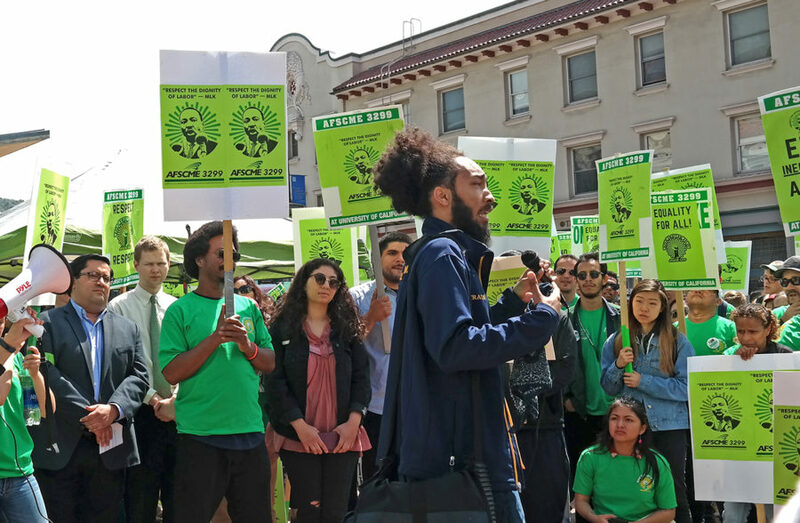 Workers and students from across the state attended the protest, from UC San Francisco, UC Davis, UC Santa Cruz, UC Merced and UC Berkeley, according to campus student and AFSCME intern, Giovanni D’Ambrosio.